I believe that conservation and environmental care should be wholly independent from any party politics. I believe we need a greater political consensus on what needs to be done for nature – saying ‘we care’ is not enough – we need informed action. I believe conservation policies should be informed by sound science and fact but also motivated by the desire to be kinder and fairer to the living world. I think that lobbying from vested interest groups working to discredit such facts should be terminated immediately. THIS MANIFESTO . . .
Has a sister in the form of a free-to-download, fully referenced document. What you read here is supported by rigorous research and science. Is deliberately incomplete. It covers issues which specifically apply to wildlife and its conservation – somewhat artificial given that many wider environmental factors exert enormous pressures upon both. There are also obvious ‘missing ministries’ . . . it is presented as a first draft, in hope and expectation of response. Is yours. 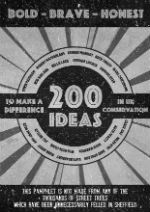 It is freely open to future contributions – we urgently need more ideas, discussion and debate to move conservation in the UK forward and cease the war on wildlife. Please distribute and please contribute. It’s time to wake up. We must rouse ourselves from this complacent stupor, because we are presiding over an ecological apocalypse and precipitating a mass extinction in our own backyard. But – vitally – it is not too late. There is hope we can hold to, and there is action we can take. In July this year I conducted a UK Bioblitz and with the help of 785 recorders and 13 recording centres our team clocked up a notable 4828 different species. Lots of exciting plants, animals and fungi – but also lots of passionate, energetic, skilful, imaginative and creative conservationists. Some were in gardens, some in community wildlife areas, others on wildlife-friendly farms or big flashy nature reserves – all were making a difference in their own important and impressive ways. We have plenty of tools in the conservation box – we can rebuild, restore, reinstate or reintroduce. But we have one collective handicap – we are shying away from seeing the bigger picture. Too often we distract ourselves with projects which work, but which are too small to stop the rot. Another successful dormouse re-introduction is great, but it’s not going to help redress the degradation of our landscape. We know the bigger issues we need to deal with, and we must summon the courage to face them and fight to fix them. Together. So all you farmers, foresters, reserve wardens, teachers, students and children, all of you ‘ologists’, scientists, artists, writers and bloggers, you activists, volunteers, gardeners, can everyone please see that this is not your last chance to make a difference – it’s ours. The UK’s conservation community cannot be selfish. We must let bygones be bygones, all put our egos back in the box and forget about corporate strategies or ‘our competitors’. We do not all have to agree about all the details – but we must agree on a shared agenda. We must stand shoulder-to-shoulder with all of those who care enough to take some action and be part of making a difference. OUR wildlife needs US – and it needs YOU more than ever. I believe that ​conservation and environmental care should be wholly independent from any party politics. I believe we need a greater political consensus on what needs to be done for nature – saying ‘we care’ is not enough – we need informed action. I believe conservation policies should be informed by sound science and fact but also motivated by the desire to be kinder and fairer to the living world. I think that lobbying from vested interest groups working to discredit such facts should be terminated immediately. I believe that an independent public service body should be established to oversee all conservation and environmental care and that it should receive significant, long-term, ring-fenced funding, so that it is independent from the whims of party politics and different periods of government. 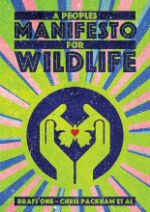 That body – ​LIFE UK​ – would thus address issues from climate change, biodiversity loss, landscape and conservation management through to wildlife crime, all of which (and more) are discussed in this manifesto. As the UK’s nations have devolved government, ​LIFE UK​ could be publicly funded with an independent tax akin to the BBC licence fee, payable by all UK adults and similarly scaled. We want and need our wildlife back – so we will all have to pay fairly for it. But we want results too – so its conservation must be independent, informed, efficient and deliver real benefits in real time. We should all invest in our wildlife. Download the PDF by clicking either image – front or back cover. The PDF will open in a new window. This may take a while to open as the files are large. Click the download symbol and save it to your computer. Link to the complete Lush podcast Soapbox voices.